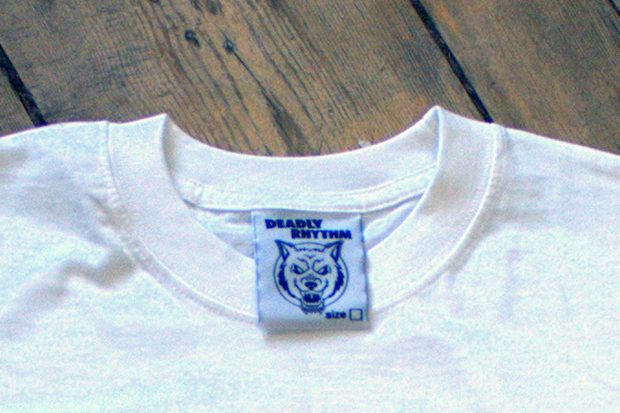 London based party team Deadly Rhythm have created their first t-shirt, hosting their iconic logo bang in the middle of it. Deadly Rhythm have become pretty well known in London for throwing some of the illest lineups, and in a pretty short period of time. With Mike Jones doing their logo and flyer designs, it’s no surprise that they have built such a strong brand so quickly … you might recognise a large amount of his designs on Mishka tees. But behind all of the lovely artwork is a team of people putting on real good music in good venues for very good prices. 3.) 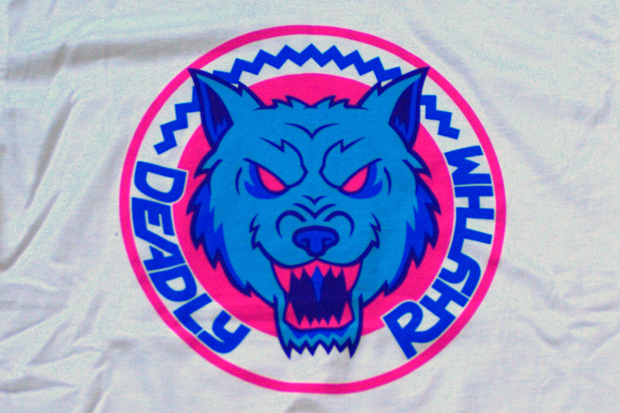 Deadly Rhythm is awesome and you gotta show the love! The tees are limited to only 100 pieces and are printed on heavyweight combed cotton with custom woven labels. 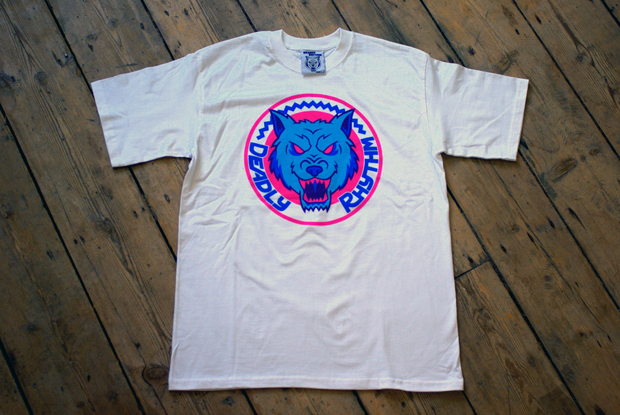 To get one, head down to Strong Look in Brixton Village where the first 20 dropped today. The rest will be online and at all Deadly Rhythm nights soon, but in the mean time send an email to deadlyrhythmclub@googlemail.com to order yours. 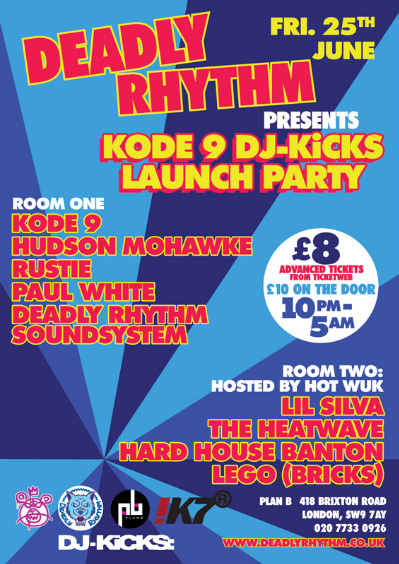 Make sure you head down to the next Deadly Rhythm on 25th June at Plan B, Brixton, to pick up a t-shirt and enjoy some top level music! every shirt should come with that chick, dope!